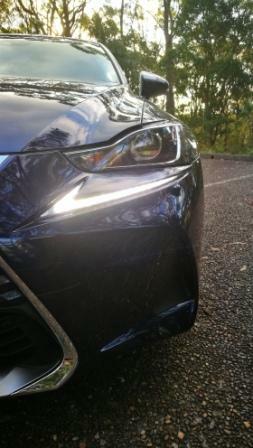 2017 Lexus IS200t & 2017 Lexus IS350: A Wheel Thing Car Review. | | A Wheel Thing. 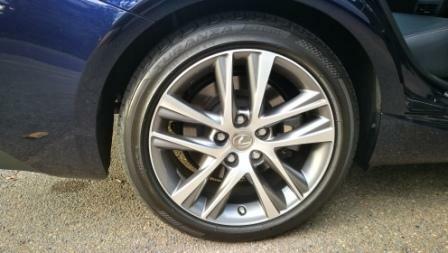 2017 Lexus IS200t & 2017 Lexus IS350: A Wheel Thing Car Review. 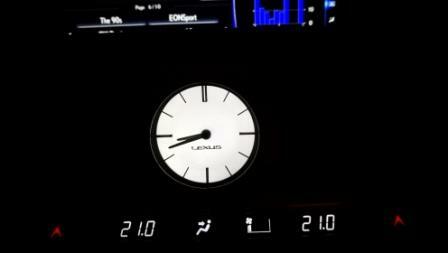 Lexus released in late 2016 an update to their IS range. It’s available with a two litre turbo petrol, two point five litre petrol with a hybrid system, or a three point five litre V6 and a sole eight speed auto, across three trim levels, being Luxury/F Sport and Luxury Sport. 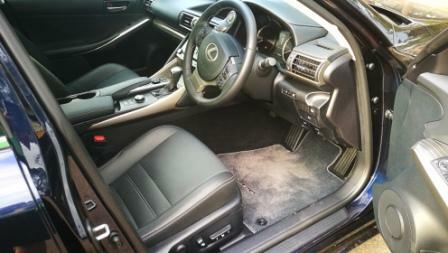 The stylish and sleek looking cars have received some mild exterior tweaks and interior renovations. 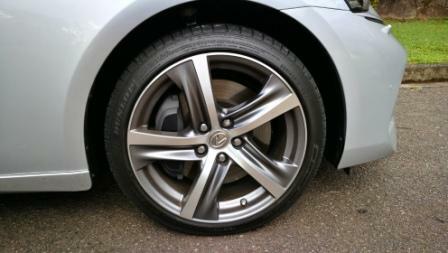 A Wheel Thing drives the Lexus IS200t Luxury and Lexus IS350 Luxury back to back. In profile, the IS is a long bonneted, short tailed, beauty. In essence, it’s not unlike a car dubbed the most beautiful in the world, with that ratio, with Jaguar’s E-Type seen as such by one Enzo Ferrari. That profile has been a design highlight of the IS since its release and the 2017 version carries that on. It sits low, too, at just 1430 mm. 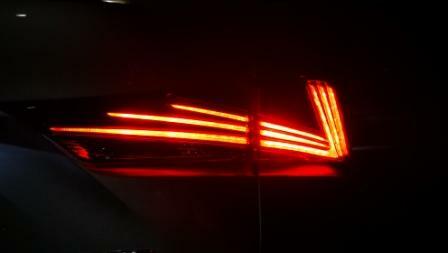 LED powered lights fore and aft for running lights and tail, plus the IS350 has LED headlights and they look great bracketing the familiar angled hour glass grille motif. There’s a stylish, almost shoe branded, swoop from front to rear that rises from the sills to the rear wheel arch within the overall 4680 mm length, which is up 15 mm from the preceding model thanks to a new front bar design. The IS200t is on 17 inch diameter wheels with the IS350 on 18s, and both look as if they struggle to fill the wheel wells. Overall, however, it’s a handsome look. 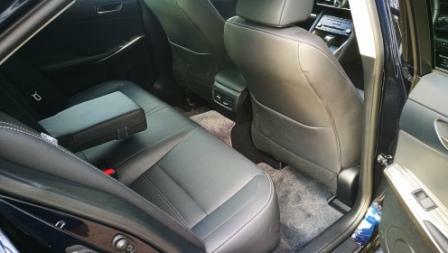 Inside, it’s a different story between front and rear seats. 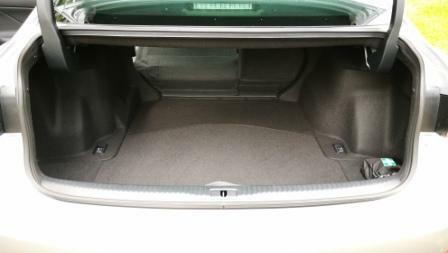 In the back there’s enough leg and hip room for most thanks to the overall 1810 mm width, and plenty of head room too. 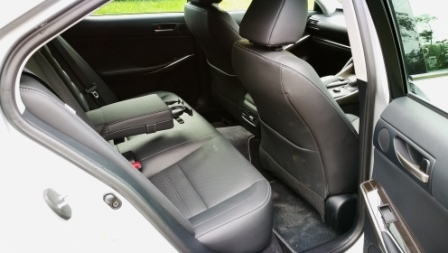 It’s leather aplenty, and there’s the added bonus of sensibility, with heating and venting for driver and passenger seats. The onboard satnav is effective but has the annoying habit of telling you, 24/7, that you’re coming to a school zone. Surely a bit of software work can be done to change that to the days and hours required? Back to the front and it’s here where the IS trips up. Totally at odds with the sleekness of the exterior and looking like a throwback to the 1980s, is a angular and messy mix. Protusions and curves collide to provide an unharmonious mix, plus there’s an odd gunmetal sheen to the plastic itself. It lets down the presentation as there’s otherwise reasonable ergonomics, great audio with DAB (with the 350 getting a Mark Levinson system), the mouse and touchscreen combination (both of which were slightly overhauled, with the screen going up from seven inches) which becomes quite intuitive, and easy to read screens (also redesigned). 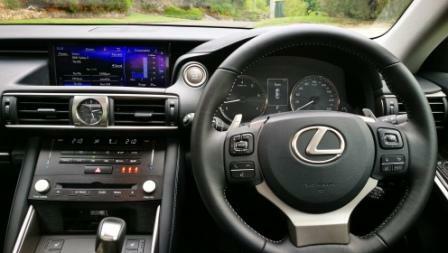 A console mounted a dial for drive modes (which shows on the dash screen) and steering wheel buttons from the Lexus RC line of vehicles which are soft touch and simple to use again at odds with the pyramids of the dash. If there’s a highlight amongst the seeming jungle of jumble, it’s the analogue clock, proudly sited right in the centre of the upper dash. 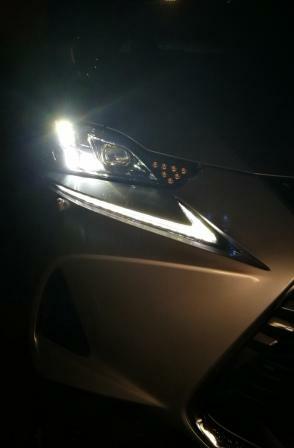 It’s a metallic look by day but glows a soft white in the darkness. 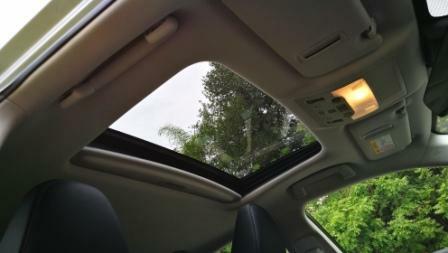 There was also a (optionable item) full glass roof fitted to the IS350 . Engine wise it’s a pairing of turbocharged four cylinder and naturally aspirated 3.5L V6, both with a close ratio eight speed auto and Stop/Start technology. 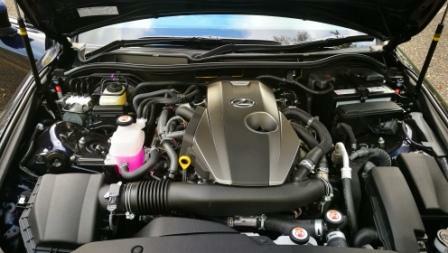 There’s 180 kW or 233 kW, and 350 Nm or 378 Nm, delivered at 1650 rpm or 4800 rpm. These last two give each car utterly different driving characteristics; the IS200t will launch well and continue to pull through to over 4000 where the power band comes in. 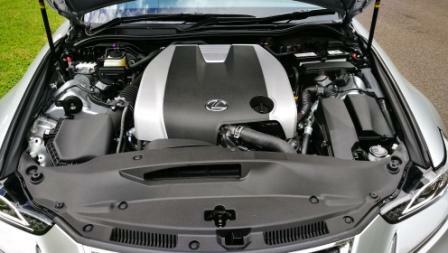 The IS350 will pull hard but doesn’t have the same feeling of urgency. 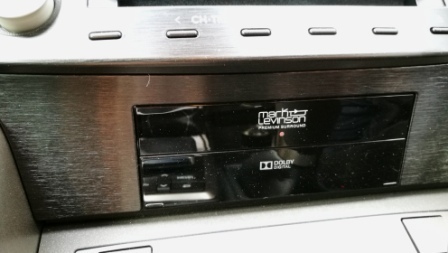 What it does have a far, far, better soundtrack than the smaller engined version. Planted hard, the right foot has that 3.5L V6 go from a bellow through to a howl to a metallic keen that sounds fantastic and intoxicating. 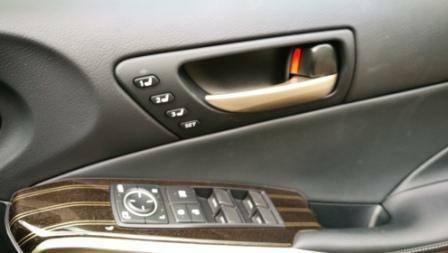 The turbo four lacks the ability to caress the eardrums the same way but is a more user friendly drive. With the torque coming in so low and available over a wider range, the IS200t becomes the better choice as a driver. The steering ratios feel different,and each has variable ratio geometry which tightens up a turn or so either side. 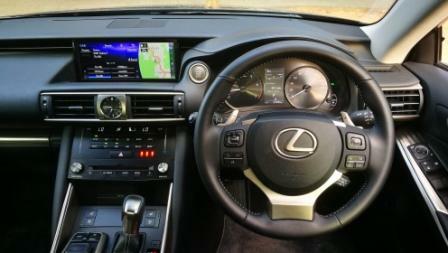 The IS350 feels less wieldy, more leaden, compared to the more responsive and nimble IS200t. Yet the conundrum is that, according to the Lexus website, the IS200t is 35 kilos heavier, at 1680 kg, than the 1645 kg IS350. Put it down, perhaps, to the broader range of torque, the seat of the pants saying that the IS200t is somewhat more dynamic than the IS350 although there’s a dedicated performance damper setup in the front for both along with aluminuim lower suspension parts. 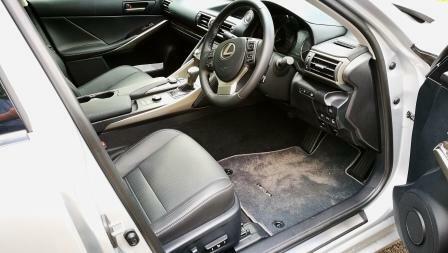 Be the first to comment on "2017 Lexus IS200t & 2017 Lexus IS350: A Wheel Thing Car Review."